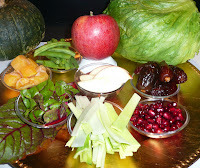 I've developed a number of resources for celebrating the Jewish New Year in the home. 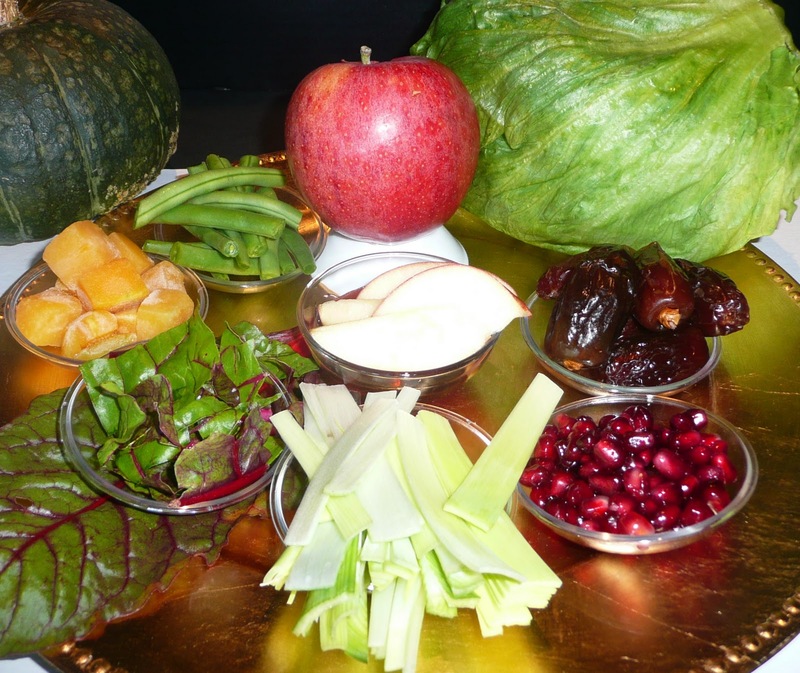 These include some history and background for a Rosh Hashanah seder or service before the first night meal and a variety of recipes. For information on how observance of the Jewish "head" of the year can be included at your Rosh Hashanah dinner celebration, please click here. For dishes that use many of the holiday's symbolic food, click here for recipes for leek-potato fritters, sweet and savory chicken tzimmes, chicken saute with chard and string beans, pumpkin and date filo dough tart and vegan (and parve) cinammon-almond chocolate truffles. I've written many other recipes that might be suitable for the holiday table from chopped liver to baklava, please check my Jewish recipe category.